Let me tell you about my first experience with khussa Indian shoes. Asad's sister gave me a pair of the most gorgeous flat shoes I had ever seen. I was so excited! I put them on and was quite horrified at how uncomfortable they felt. Not knowing much about the culture yet, I assumed they were for parties where you put them on as decoration as opposed to actually wearing them around. One day, Asad's sister asked me about them as she'd never seen me wear the shoes. I confessed that they were so uncomfortable I couldn't stand to wear them. She laughed and said, "well you have to break them in silly!" Asad had not told me that! He didn't even know that they needed to be broken in. Notice the shoe on the left is formed to the shape of the foot? I learned that khussa shoes start off stiff and hard with no left and right foot. When you first put them on you often feel like you have them on the wrong foot. Awkward!!! Once you break them in, they form to the shape of your feet giving you a custom right and left foot. Every time you wear khussa shoes, they get softer and more comfortable. I have shoes that are so soft, I can fold them up and stick them in the back pocket of my jeans! REALLY! So, How Do You Break In Indian Shoes? This will sound odd, and it will feel a odd the first time you do it, but wet your feet and wear them around the house for a couple of hours. Occasionally re-wet your feet, if needed. If there are any spots that rub, put half of a cotton ball under a band aid and if stretch the leather in that spot so you don't get blisters the first time you wear them. Easy! For extra break-in or a quick break in, you can wear them with damp socks for an hour or so. Keep in mind, that once shoes are broken-in they can not be resold and can not be returned or exchanged. If you have questions about break in for Beachcombers khussa, send me an email or give me a call. I'm happy to help! Welcome to the fabulous world of comfy khussa shoes! Online Shipping Times: What is a Realistic Shipping Time? I was at dinner with a group of people the other day and we started talking about shopping online and about actual shipping times verses expected shipping times. Color me an expert at shipping! I've run an eCommerce business full time since 2004 and a couple of years before that part time. It started with a story from, we'll call him Bob, who placed an order from a major retailer on Saturday evening. He paid for overnight shipping and was furious when his order arrived on Tuesday. He had expected it on Sunday. Understanding how shipping works will allow you to plan better when you shop online. Think of the day you actually order as a pre-shipping day. Your purchase will most likely be processed the next day, unless you placed your order very early in the day (normally noon of the shippers time zone). If you place your order on a Friday, assume it will not physically ship until Monday. Here at Beachcombers, orders received before noon will ship the same day. This saves you one day of ship time! The day of actual physical shipping (rather than the day the order is placed) is day zero (shipping day). The day after the order has physically shipped is day one. If you ordered overnight shipping (1 day) you should get your package on Thursday. If you ordered 2 day shipping you should get your package on Friday. Most domestic packages will arrive Friday, Saturday, or Monday depending on how far the order travels. If you ordered overnight shipping (1 day) you should get your package on Tuesday. If you ordered 2 day shipping you should get your package on Wednesday. Most domestic packages will arrive Wednesday, Thursday, or Friday depending on how far the order travels. If you ordered overnight shipping (1 day) you should get your package on Wednesday. If you ordered 2 day shipping you should get your package on Thursday. Most domestic packages will arrive Thursday, Friday, or Saturday depending on how far the order travels. Make note, if using UPS or FedEx, they do not offer weekend delivery (except with a very high extra charge), so Saturdays work like Sundays for both UPS and FedEx deliveries. Their expedited services offer the same basic delivery times (1 and 2 day), but standard ground shipping can be 5-10 days. If you absolutely NEED something by a specific day or time I suggest sending and email or calling the business you are placing the order from to verify their shipping policies. Last chance to learn how to henna in 2014 with Beachcombers Henna University extension classes! The Fall Henna U extension classes are scheduled and available for registration! This spring we are offering our basic henna class, Simply Henna 101, and a henna technique lab, Adding Texture to Henna Design with Shading and Two-Tone. Both henna workshops are offered on Saturday, November 8, 2014 at Beachcombers Bazaar in Orlando, FL. Henna Texture Lab is at 5:00-6:30. 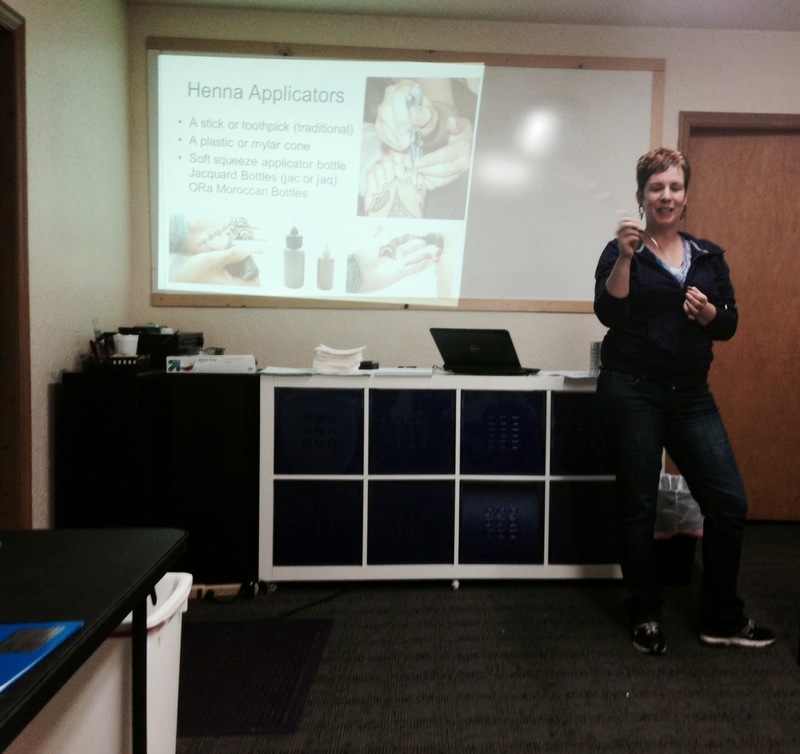 *If you are a beginner, you should take the Simply Henna 101 Workshop first. Basic henna information will NOT be taught. Only $20 and all supplies are included. This class teaches various two tone and shading techniques in henna design. We will physically practice techniques and explore ways to add depth and texture to a henna design. Can't make it to this one? I do a set of henna classes once a quarter, so keep an eye out for henna classes in 2015. Khussa Indian Shoes...Last Beaded Flats of the Year! They are finally here! Our last order of khussa Indian shoes until 2015. If you need khussa for the holidays, fall weddings, or anytime before February 2015 (the hopefully date of arrival of the next shoe order) get them now while we have a full selection of sizes! 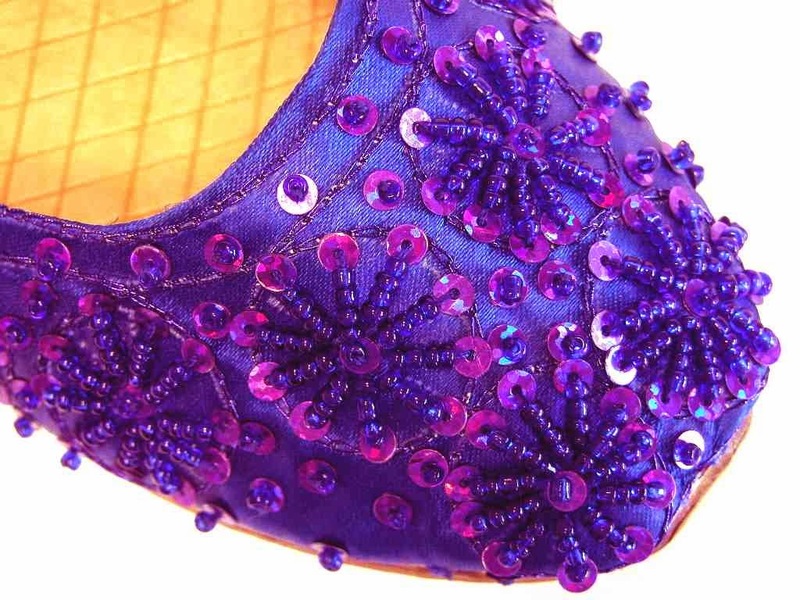 I love love love our new blue khussa shoes with purple sequins. Fantastic combination! 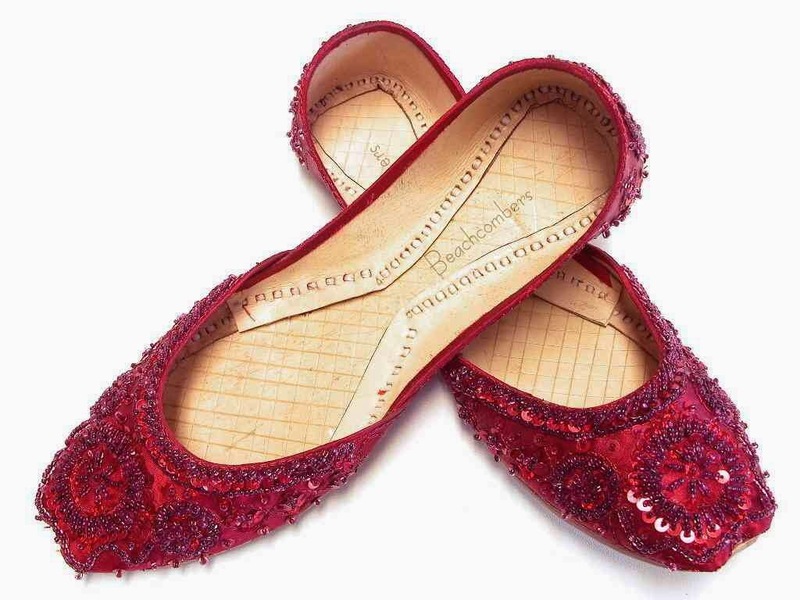 A close second is the dark red wine beaded flats. I think these would be perfect for a holiday party. We also have a great olive green, teal, and of course silver and white flats. Shop our New Khussa Indian Shoes Today! I'll keep you updated on the next arrival of new khussa shoes.